Bottlecapdev – Getting great print flyers is not all about the design. The process of flyer printing itself is determining a lot in terms of the quality and the appearance of your flyers. Therefore, when you are a designer, you should not only concentrate on the design of your color flyer, you should also be serious about printing. Do not worry if you are clueless about the whole process of printing though. In this guide, I will teach you all the important elements to remember in flyer printing. Follow these tips below to get The Best Flayer Printing from your great designs. Lastly, you should remember that in today’s world, full color are the norm. You may still print black and white, but they are hardly noticeable anymore and are very ineffective at marketing. Therefore, when you are creating your designs, it is best to go full color so that you can be as competitive as your other “flyer rivals” can. It will cost more, but I guarantee you that the impact upon readers can be better. So always invest in full color printing. Now, here is a tip that I guarantee you will absolutely like. It is good to print large numbers to get wholesale discounts. That is right! 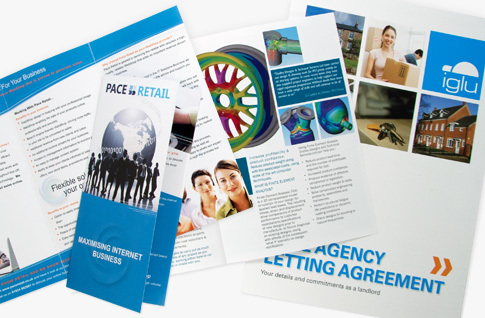 A lot of flyer printing companies will offer wholesale discounts when you print a large bulk with them. You should always try to avail of this offer, especially if you are in a tough marketing campaign. Since you will be printing a lot anyway, you should do it all in one time to get that discount. Another important thing that you should know about is that using standard templates makes the whole process a lot easier for you. You may want to be original and using custom sizes, but that will make the process harder with the customizations and extra costs involved. Flyers nowadays can be printed in more than just “plain paper”. With the new kinds of paper materials out there, you can actually invest in great paper materials such as one-side glossy, or 2-side glossy materials. There are even other options that increase the thickness of the paper for better durability. Using these great paper material options gives your custom flyers better quality, while at the same time improving their overall look. Especially when you use the glossy type of materials, your printing output will be too beautiful to simply throw away like the other cheap ones. Your designs will really come out and will be printed in the flyer that they deserve. However, when you use standard printing design templates and sizes, all that trouble goes away. When you submit your designs in standard templates, printers will have an easier time printing with no extra costs are involved. So do yourself a favour and use templates. This guide should help you a lot. At least now, even if you are just a designer, you know the right tricks in flyer printing to really get the best output at the best price. Good Luck!